Define forages and differentiate between forage types. Explain how forages have been and are essential to civilization. Summarize the history of forages. Define grassland agriculture. Discuss a typical grassland ecosystem. Define sustainable agriculture and discuss how forages are a key component. List several grassland organizations and describe their role in promoting forages and grassland agriculture. Define and describe the natural grasslands of the world. Locate and describe the tropical grasslands and their forages. 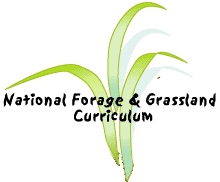 Locate and describe the temperate grasslands and their forages. Important issues affecting grasslands and their forages. Describe the role of forages in the history of the US. Describe the current role of forages in US agriculture. Discuss forages from a livestock perspective. Discuss the environmental benefits of forages. Discuss the possible future role of forages in the US. Grasses are very common but very important. Differentiate warm-season from cool-season grasses. Describe the utilization of grass in forage-livestock systems. Describe how knowledge of grass regrowth is beneficial to forage managers. Legumes are a valuable part of forage production. Differentiate warm-season from cool-season legumes. Summarize the distinctive physical characteristics of legumes. Define the utilization of legumes in forage-livestock systems. Provide specific information about the common legumes used as forage. Explain the reasons why forage plant identification is important. Describe the major differences between the plant families used as forages. Provide the vocabulary needed to identify grasses. Provide the basic vocabulary for identifying legumes. Identify common species of forage. Provide practice in identifying common forages. The selection of a forage plant is crucial. Determine limitations to forage selection. Forage selection requires an understanding of species varieties. Discuss the advantages and disadvantages of selecting mixtures. Discuss the advantages and disadvantages of pasture renovation. Discuss the steps in seedbed preparation. Discuss the considerations of seed quality. Discuss the methods and timing of seeding. Discuss the purpose and wise utilization of companion crops. Explain why producers and the public should be concerned about weeds. Describe several ways in which weeds cause forage crop and animal production losses. List several poisonous plants found on croplands, pasturelands, rangelands, and forests. Describe the five general categories of weed control methods. Describe the concept of Integrated Pest Management and how it applies to weed control. Distinguish between selective and non-selective herbicides and give an example of each. Describe how weeds are categorized by life cycle and how this is correlated with specific control methods. Describe conditions that tend to favor weed problems in pastures and describe how to alleviate these conditions. Describe several common weed control practices in alfalfa production. List printed and electronic sources of weed control information. List local, regional, and national sources of weed control information. Discuss the basics of grass growth. Describe the impact of defoliation on grass plants. Discuss how livestock interaction impacts grass growth. Discuss grass growth in mixed stands. Discuss the practical applications of regrowth mechanisms. Discuss the importance of soil fertility and the appropriate use of fertilization. Define and discuss the nitrogen cycle. Discuss the major elements needed for good soil fertility and plant growth. Discuss the uses and methods of liming. Discuss fertilizer management for mixed stands. Define biological nitrogen fixation (BNF) and explain its importance. Describe the benefits of BNF in economic and environmental terms. Estimate the amount of BNF that is contributed by various crops. List and discuss factors that affect the quantity of nitrogen fixed. Describe the processes of infection and nodulation in forage legumes. Describe the process of inoculation in the production of forage legumes. Discuss the role of grazing in a pasture-livestock system. List and discuss the types of grazing. Compare and contrast the different types of grazing. Discuss the livestock dynamics on pastures and grazing. Discuss the utilization of a yearly grazing calendar. Discuss the purpose for mechanically harvested forages. List the characteristics of good hay and the steps needed to make it. Determine the characteristics of good silage and the steps in producing it. Discuss the potential dangers in mechanically harvesting and storing forages. Compare and contrast the types of storage and discuss the advantages and disadvantages of each. Describe the importance of irrigation in producing forages. Describe major types of irrigation systems in US forage production. List and discuss factors that affect irrigation efficiency. Describe basic principles of scheduling irrigation for efficient use of water resources. Describe potential problems that may arise from the use of irrigation in forages. Define forage quality and management decisions that increase forage quality. Describe important factors that determine hay and silage quality. Allen, VG, JP Fontenot, DR Notter, and RC Hammes, Jr. 1992. Forage systems for beef production from conception to slaughter. I. Cow-calf production. J. ANIM. SCI. 70:576-87. Fick, GW. 1993. Planning a forage production program. Dept. of Soil, Crop, and Atmos. Sci. Teach. Ser. no T93-3. Ithaca, N.Y.: Cornell Univ. Fick, GW and JH Cherney. 1994. Forage crop production. In WO Lamp and G Armbrust (eds. ), Protection of Perennial Forage Crops. New York: J Wiley and Sons. RF Barnes, DA Miller, and CJ Nelson (eds.) Forages: An introduction to grassland Agriculture. 5th ed. Iowa State Univ. Press, 175-188.